James Hepburn, Earl of Bothwell. James Hepburn, 4th Earl of Bothwell was the son of Patrick Hepburn, 3rd Earl of Bothwell and and Agnes Sinclair, daughter of Henry Sinclair, 3rd Lord Sinclair. In around 1559 Bothwell visited Copenhagen around 1559, where he met and married the Norwegian Anna Trondsen but later deserted her. 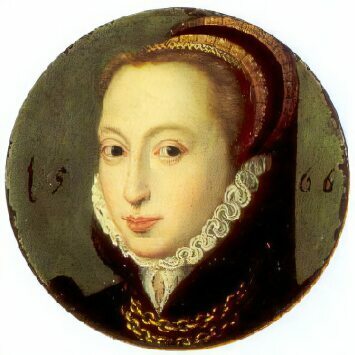 Bothwell first met Mary, Queen of Scots during a visit to the French Court in late 1560, when he was received by the Queen and her first husband, King Francis II of France. He supported the regent, Mary's mother, Mary of Guise against the Protestant Lords of the Congregation, Mary ofGuise granted him Hermitage Castle and appointed him Lieutenant of the Border in addition to his hereditary role as Lord High Admiral of Scotland. In an ambush which took place near Haddington, on Halloween 1559 he took 6000 crowns destined to be used against Mary of Guise from the Laird of Ormiston. The Protestant Duke of Châtelherault sent his followers to seize Bothwell's home Crichton Castle in an attempt to force Bothwell to join them. However he remained loyal toMary of Guise. Following the death of her husband, Francis II, Queen Mary returned to her native Scotland, arriving at Leith on August 19, 1561. Bothwell married for a second time to Jean Gordon, daughter of the wealthy George Gordon, 4th Earl of Huntly and Elizabeth Keith. in February 1566, the Queen attended the wedding. 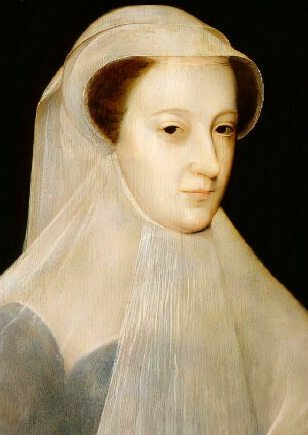 Mary's own second marriage to Henry Stuart, Lord Darnley proved to be a disastrous one. Arrogant, dissolute, self-seeking and a drunkard who demanded power, Darnley was soon to make Mary repent her impulsive choice. In March 1566, after the murder of David Rizzio, Bothwell aided in Mary's escape from Holyrood House. He then gathered an army to support the Queen as she rode back to Edinburgh with Darnley to face the plotters. Bothwell and the queen became close, in the summer of 1567, on receiving news he had been badly wounded, she travelled to the Borders to be with him at Hermitage Castle only a few weeks after giving birth to Darnley's son. On the night of 10th February, 1566, Darnley was murdered at a house at Kirk'o Field near Edinburgh. In a explosion which shook Edinburgh, the house was blown up with gunpowder and Darnley and a servant were found dead in the grounds. They had been strangled, presumably having escaped the blast. Bothwell, was considered by many to be responsible for the act and the Queen's own complicity in her husband's murder suspected. Darnley's shocked and grieving father, Matthew Stewart, Earl of Lennox, angrily demanded an inquiry into his son's murder. The Queen duly complied, and Bothwell was declared innocent of any involvement in Darnley's death. There were many, including Lennox himself, who were sceptical of this verdict and saw it as little more than a whitewash. On Wednesday 24 April, while Mary was travelling from Linlithgow Palace to Edinburgh, Bothwell interupted her journey with a large force of men. Informing her that danger awaited her in Edinburgh, he suggested taking her to his castle at Dunbar for her safety. The queen agreed and accompanied him to Dunbar. There she was allegedly raped by him to secure marriage to her, whether Mary was his accomplice or his unwilling victim is a matter of controversy. Despite advice urging her to the contrary, the Queen consented to marry Bothwell. He was divorced by Jean Gordon on 7 May 1567, citing his adultery with her servant as cause and married Mary, Queen of Scots, eight days later. 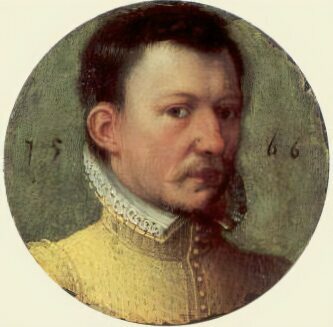 Bothwell was created Duke of Orkney and Shetland on the 12th May 1566 and the ill starred marriage took place according Protestant rites on May 15, 1566, at Holyrood Palace. The outraged Scottish lords rose in revolt in the name of the now fatherless Prince James. Mary and Bothwell faced the rebels at Carberry Hill, but the ranks of her troops were decimated by desertions and she was forced to negotiate with the lords rather than risk battle. The Queen agreed to surrender to her enemies on the promise that no further action would be taken against her. Bothwell, as part of the agreement was allowed to leave Scotland unharmed. Bothwell set sail from Aberdeen to Shetland and from there he planned to to travel to Denmark to raise an army with the support of Frederick II of Denmark to recover Mary's throne, but was forced by stormy seas towards Norway. He was caught off the coast of Norway without proper papers, and was escorted to Bergen, the home of Anna Throndsen. Anna issued a complaint against him and her cousin Erik Rosenkrantz, a high-level official, remanded him to a local prison. Anna sued him for abandonment and the return of her dowry, but was persuaded byBothwell to take his ship as compensation. He would then have been released, but King Frederick of Denmark had heard news that the English were seeking Bothwell for the alleged murder of Henry Stuart, Lord Darnley and decided to take him into custody in Denmark. On arrival, he was imprisoned in Dragsholm Castle, where he was chained to a pillar half his own height, rendering him incapable of standing upright. Mary obtained an annulment of their marriage in 1570, but Bothwell was to remain there, crouching in the dark and in his own filth until his death on 4 April 1578, ten years later. His body had became overgrown with hair. Bothwell's mummified corpse was later put on display in the crypt at Faarevejle Church, near Dragsholm. The pillar to which Bothwell was chained can still be seen, with a circular groove in the floor around it where he purportedly spent for the last ten years of his life.